We are collaborating with ICLDC6 concerning advance block-bookings for ComputEL-3 participants. Please see the available options under Lodging on the ICLDC6 website. If you want to make use of these accommodation options made available through ICLDC6, please make you reservations at your earliest convenience. Besides the aforementioned pre-arranged accommodation options provided by ICLDC6, you can of course also try out other standard channels such as AirBnB. Nevertheless, please be advised that accommodations on Oahu/Hawai’i tend to get booked early on, and that the general price ranges are higher than in the continental U.S. and Canada. We will NOT have any pre-arranged shuttle transport between Waikiki and the Imin Center, due to the smaller size of our workshop. 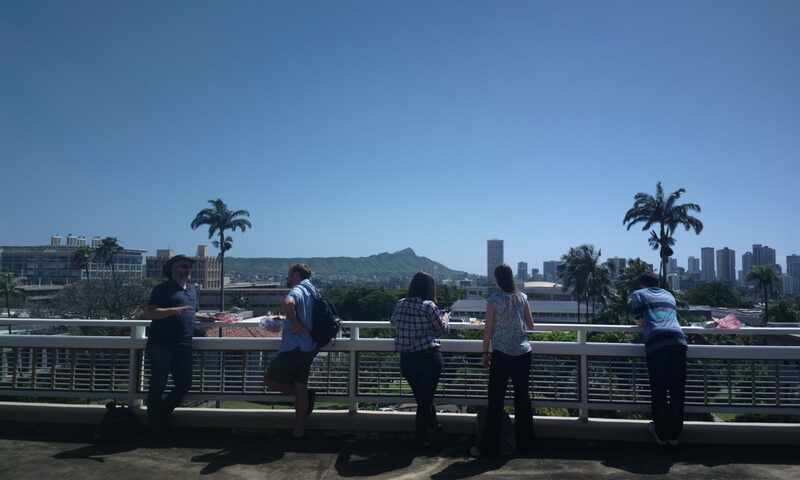 However, under Transportation on the ICLDC6 website you will find an overview of options for transport both from Honolulu Airport to Honolulu, as well as from downtown Honolulu and Waikiki to the Imin Center at the University of Hawai’i at Manoa, where the ComputEL-3 workshop will be held. Again, please note that ComputEL-3 will NOT have a shuttle service, in comparison to ICLDC6 (so all shuttle information on their site does NOT apply to ComputEL-3).